Too often limited by our own imaginations, we acquire a narrow view of public schooling and what student success can look like. A meeting with the Hodsdon family from Ortonville, however, shows what can happen when a family steps outside the norm for its education. The three Hodsdon students take their formal learning far and wide, navigating an ambitious and unconventional schedule, all while fulfilling Michigan's standards for high school completion. 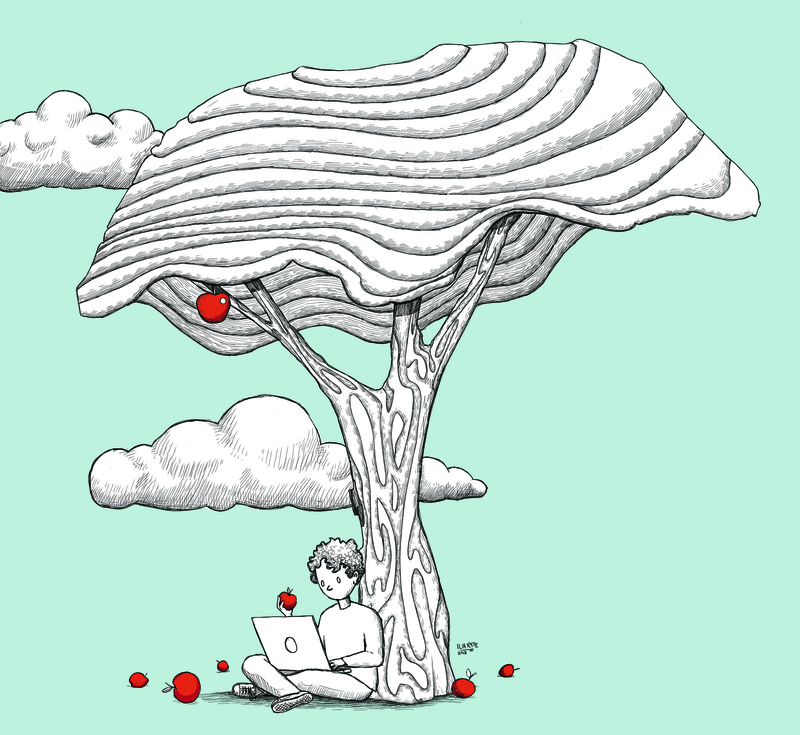 They represent a group of students for whom online learning works very well. With the family motto of “fail faster,” it’s no wonder these students are a step ahead. 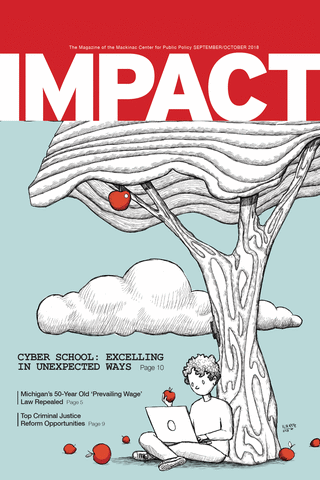 After completing eight years at Michigan Connections Academy, one of the state's 14 cyber schools, their lifestyle has adapted to their entrepreneurial and innovative inclinations. The once 13-hour school day (including bus ride) in a traditional school would never do now. The flexibility of full-time online learning in a public charter school has allowed Ben, Noah and Abbey to excel in unexpected ways. Connections has earned high marks on the last two editions of the Mackinac Center's school report cards, which rely on state test results. For the Hodsdon family, those high marks barely begin to tell the story they are writing because of cyber school. Ben, who starts 12th grade in the fall, has created his own robot butler using artificial intelligence. Sophomore Noah is able to devote time to commercial agriculture, while eighth-grader Abbey oversees her own fashion line of wearable technology. The children first attended private school, but the cost was too burdensome for the family. They switched into their assigned traditional public school when Abbey, the youngest, started kindergarten. At their new school, the Hodsdon students faced issues many families are all too familiar with: daily bullying, lack of challenging academics and getting lost in the chaos of a large classroom. Their mother, Sarah, quickly realized these challenges were blocking their chance at a quality education and knew a change had to be made. After hearing an advertisement for Michigan Connections Academy, Sarah sought to enroll all three of her children. But a statewide cap on cyber school enrollment meant each had to enter a lottery to secure a spot. Only Ben's name was selected. Sarah, wishing to keep all three children together, declined the offer but wished to be notified of further openings. Days later, she received a phone call offering spots for all three kids, but she had only 24 hours to make a decision. Despite immense pressure to stay in their current school, the Hodsdons took the leap and enrolled in Connections. Eight years later, the state's enrollment cap is long gone and the family’s lifestyle has been transformed to allow for plentiful shares of both creativity and learning. Connections has allowed the students to format their education to accommodate individual learning styles and learn time management. They quickly learned that to have time for their own activities, they had to be disciplined to complete their homework. 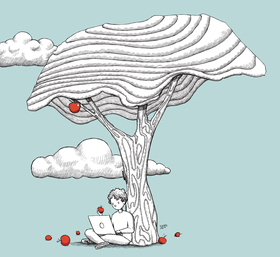 The time management required for cyber school fosters students’ initiative and ownership over their learning, which goes beyond the standard curriculum. For this family, afternoons are usually spent inventing, building a shed in the backyard or collecting old speakers from estate sales to learn electrical wiring. Each child brings his or her talents to Maker Faire events, a movement designed to encourage and showcase inventions from around the world. They provide access to a variety of uniquely skilled mentors who can help broaden the knowledge of willing learners. The school’s flexible approach has also provided the family the opportunity to learn on the road. Since the only requirement for accessing coursework is a Wi-Fi signal, travel and study can work together. For example, Abbey learned about the civil rights movement while doing her online lessons at a local restaurant in Montgomery, Alabama. “I have a global view of the world because of the flexibility virtual school has given me,” Ben confidently told us. 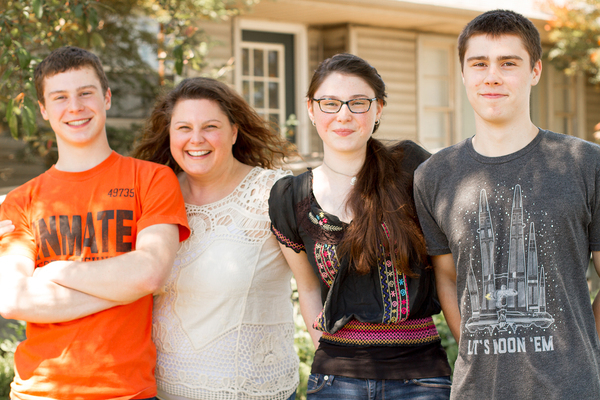 For the Hodsdon family, cyber schooling has been the best educational option. The past eight years at Connections have proved to be the only approach to schooling that would adapt as the children’s interests grew, while keeping them connected to quality learning materials. Online education doesn't have to work for everyone like it has for the Hodsdons in order to remain a viable option for Michigan families. Still, that hasn't stopped Gov. Snyder from seeking to fund cyber school students at lower rates, or teachers union leaders from publicly maligning these schools' performance. Most recently, state bureaucrats have been quietly writing rules that would make it much harder for cyber schools to receive funding for students they serve. In all cases, the Mackinac Center has sounded the alarm on the unfair attacks and set the record straight. The Center not only will continue its fight to protect existing parental choices in education, but it will also keep working to create an environment that makes more options available. Our eyes remain fixed on the goal of giving every student and parent in Michigan access to quality learning opportunities that fit their needs and best help them succeed. As for Sarah Hodson, she is grateful that the flexibility of virtual schooling has helped transform her children’s lives. Most families may never blaze a similarly creative trail. But the Hodsdons' story ought to encourage other Michigan parents to take greater ownership of their children’s education as they chase bigger dreams.